(CNN) – President Barack Obama and his former rival Mitt Romney will meet Thursday for their first get-together since the November 6 election, according to a statement from White House Press Secretary Jay Carney. "On Thursday, Governor Romney will have a private lunch at the White House with President Obama in the Private Dining Room," Carney wrote. "It will be the first opportunity they have had to visit since the election. There will be no press coverage of the meeting." In his acceptance speech on election night, Obama congratulated Romney on his campaign, and said he was looking forward "to sitting down with Governor Romney to talk about where we can work together to move this country forward." And at his first post-election press conference, held November 14, Obama said his goal was to set a meeting before the end of the year. "There are certain aspects of Governor Romney's record and his ideas that I think could be very helpful," he said, specifically citing Romney's leadership of the 2002 Salt Lake City Olympic Games. Romney has mostly stayed out of the spotlight since his Election Night remarks in Boston. He was spotted taking in the latest installment of the "Twilight" movie franchise with his family, and on Thanksgiving shared a photo with his wife Ann on his official Facebook page. Two Romney aides said Wednesday the former GOP nominee will be subletting space at the offices of his son Tagg's investment firm Solamere Capital in Boston. Mitt Romney won't be joining the firm himself, the aides said. While Romney hasn't made any public appearances after the election, controversial comments he made on a post-election call with top donors were immediately criticized by both Democrats and Republicans. "What the president, president's campaign did was focus on certain members of his base coalition, give them extraordinary financial gifts from the government, and then work very aggressively to turn them out to vote," Romney said on the call. "With regards to the young people, for instance, a forgiveness of college loan interest was a big gift," Romney said. Those remarks caused Republicans – including several who are considered likely candidates for the 2016 GOP nomination – to put distance between themselves and their party's former standard bearer. While in Washington, Romney will also meet with his former running mate, Rep. Paul Ryan of Wisconsin, a senior adviser to the former GOP nominee told CNN Wednesday. In 2008, Obama met with Sen. John McCain after defeating him in the presidential election. The pair met at Obama's transition headquarters in Chicago, and issued a joint statement afterwards saying they hoped to work together on challenges such as the financial crisis, creating a new energy economy and protecting the country's security. CNN's Jim Acosta, Paul Steinhauser and Kevin Liptak contributed to this report. They have to come together share the best part of romney to take the country a head,some ideas of romney are worthy,i wish obama the best.thats democracy with diplomacy and respect for others though they didnt win.i wish the whole world leaders emulate obama.God bless obama and America at large. Hopefully Romney doesn't outsource the White House to China! LOL! Again with all the vitriol. It never fails to amaze me just how much hate people of both parties have for the other side. The election is over, thank god and I had hoped that the majority of this would end. People say that Obama should stop attempting bipartisan politics but without support from people on both sides nothing will happen. Like it or not there was no sift in power this election cycle. That means that the same group of republicans still have the power to stop pretty much any bill that comes there way. If Obama does not play ball with them we are all screwed. People can point fingers and blame the other party all they want, however that is not solving a damn thing. If Obama wants to make this government work he needs to try to reach out to political leaders on both sides of the isle and make things happen. I am a fiscal conservative and morally I find myself with a more liberal slant. Legalize Gay Marriage, pot and pretty much anything that consenting adults wish to partake in. Keep religion out of government and government out of religion. Frankly I do not care who is in power that fixes the current crisis we are in just so long as it's fixed. If Obama thanks that Romney has ideas that he can use to make that happen then more power to him. Just stop the spewing of so much hate. Its doing nothing but dividing this country and resolving nothing. I think that the old adage is true: If you are not part of the solution you are part of the problem. With this invitation President Obama shows that he has class, he is a true gentleman acting in a highly civilized way. Some people will criticize him regardeless, but the lesson won't be lost on those with enough intelligence and sanity to recognize a noble act. He is well above the crass insults. Well done, Mr. President. It's very nice to president Obama keep the promise. Good luck with that. This will be the most awkward luncheon in recent memory. LOL! Your comment about the meal preparation almost made me wet my pants! That was funny! You made my day honey! Some may call it a desperate move by the president while some may say he is only looking out for the nation and being presidential and all that , well either way even if he taps from Mitt's business acumen and cedes to some of his ideas both nationally and internationally what will be will be....if the country will improve by some men that think their policies are the best to improve not only the nation but the world at large then so be it there's nothing wrong in working together, Politicking is over lets face reality it will take more than a single bunch of idea to heal the wounds of this nation. Lets all pray for this great nation of ours. President Obama should not be meeting with Romney for any reason! He is not a representative of the people, he holds no office, he lost the election, I want him to GO AWAY! He has nothing to contribute to this country, as far as I'm concerned, and the POTUS having lunch with him only makes Romney think he IS credible, which he is NOT! I'm surprised that the President would stoop this low for a lunch date . . . surely he can get somebody else to go with him! I expect that Mitt will pay for his lunch. Mitt should not become part of the 47% that he claimed to get free gifts (food, housing and healthcare) from the Obama administration. Isn't it their first get-together since the third debate? No, it's that he needs Mr. Romney's help. Mr. Romney's ideas were alot stronger than anything Mr obama could and had come up with. Look at obama, he's overwelmed, he knows he can't do it alone. Mr Romney is showing class to agree to meet with him. I'm afraid I'd have refused and let him sink. And Romney was right Obama did the same thing Bush did and bought the election...most presidents do...FDR hello. Obama, forever the nice guy. And by moving the country forward that means the GOP needs to stop being so militant toward the president and start compromising on behalf of the people to do what is best for the people not the party. There is a difference and the GOP seems to have lost that perspective. Look at the fine china you can't have Mitt! 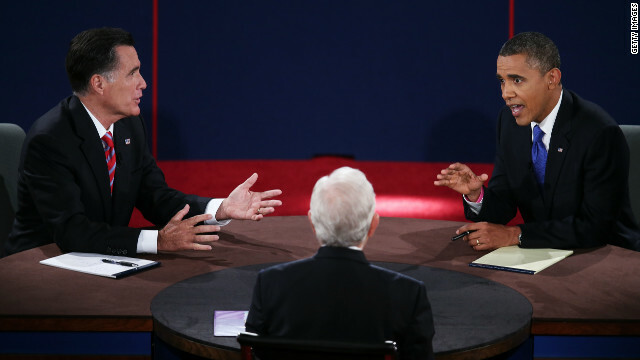 And look at this desk that's mine Mitt! And look at all the other crap the taxpayers have gifted me Mitt! Mittens lost because he was out of touch and living in a right wing Faux News bubble. I doubt that he has anything to contribute. How true was Mitt's comments about that 47%. And how more true is Mitt about that 'gfts' talk. expect for the FoxNews crowd to somehow put a negative spin on this meeting. I can see the three on the "cozy couch" in the mornings already blasting the president for doing this. Mitt was wrong, 51% want socialism/communism. Folks will sorely regret reelecting the empty suit!!! >>yeah because its not as if he has access to successful business advisors left, right and center, 24-7, or anything. Yes, and how's that been working out for him? So are they going to crack a couple cold ones?